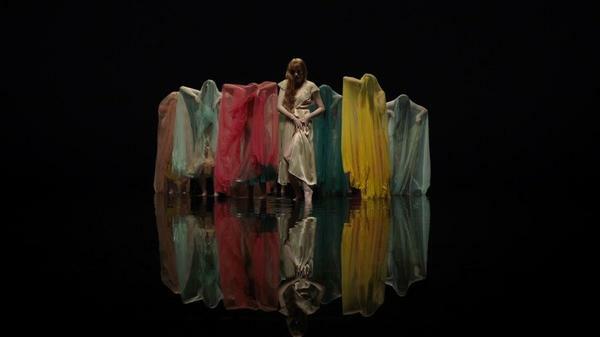 A still from Florence + The Machine's new video. Florence Welch has built a career around her rare ability to transform human dramas and big feelings — about loneliness, about self-worth, about feeling uncomfortable in your own skin — into booming, beautiful anthems. On June 29, her band Florence + The Machine will return with High As Hope, which has already spawned a thrilling summer anthem; now, it's got an intense new single called "Big God." Lending her powerhouse voice to a dramatic treatise on abandonment, Welch also presides over a video full of high drama: dancers clad in underwear and dripping-wet veils, a few special effects, a pool of water and, of course, a lead performance that commands your complete, enraptured attention. High As Hope comes out June 29 via Republic.